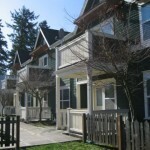 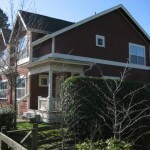 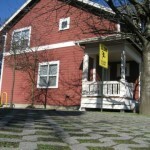 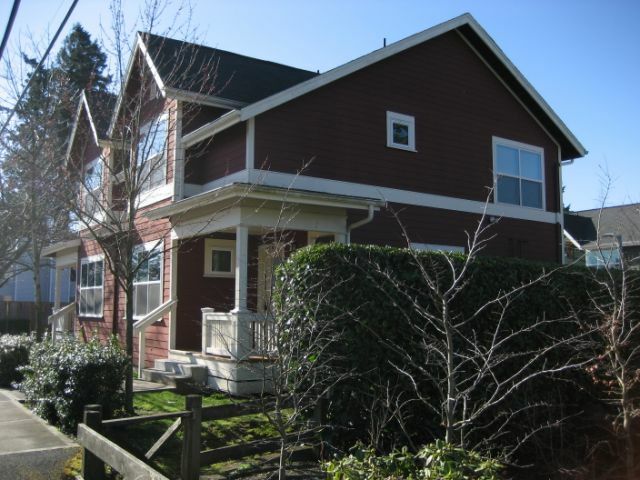 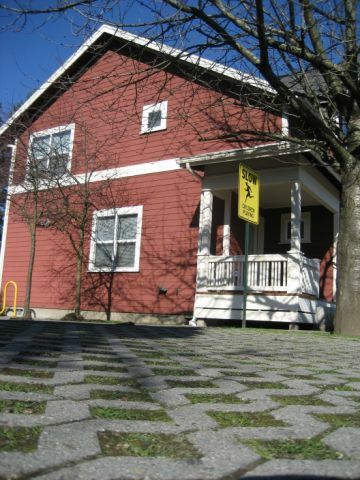 NE 127th Avenue (2001) - Portland Community Reinvestment Initiatives Inc.
PCRI developed a new six-plex and duplex to replace a dilapidated single family residence on this large site with convenient access to the MAX light-rail line. 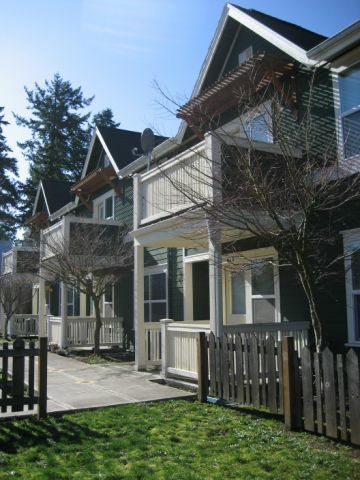 The six-plex features two-bedroom, one-bath units ranging from 872 – 918 square feet, including three ground-floor units were designed to be adaptable to wheelchair users and feature wider doors, large bathrooms for maneuverability and other amenities. 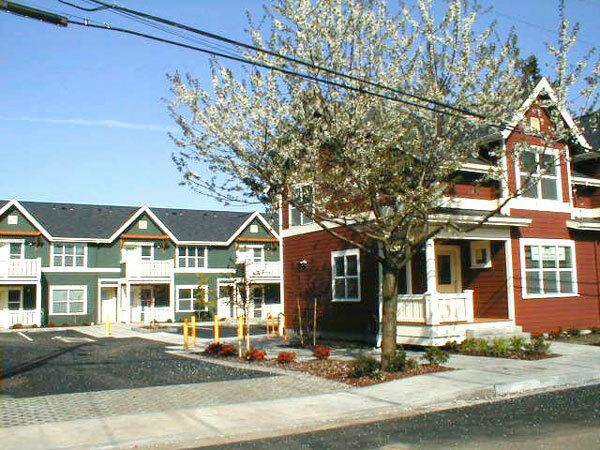 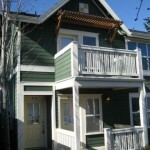 The duplex features two three-bedroom, 1-1/2 bath townhomes and all units have access to off-street parking and an open play area. 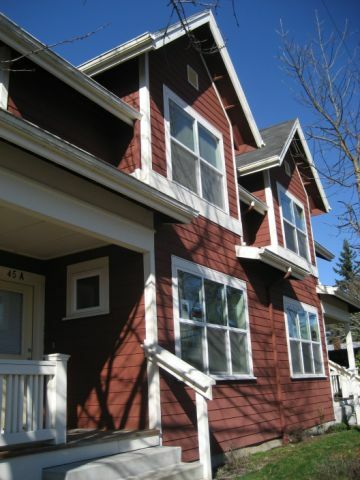 To keep residents’ utility bills low, an innovative turbonics heating system was employed. 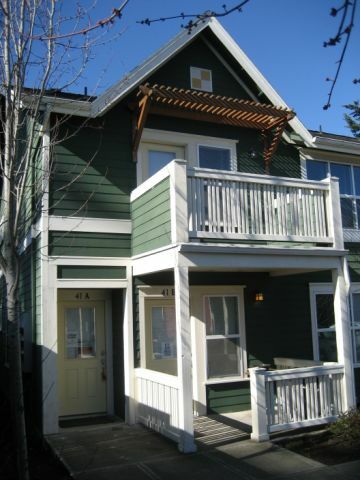 Separate thermostats in each room allow residents to only heat rooms as needed. 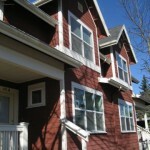 Energy-efficient windows, doors and insulation further aid in maintaining resident comfort. 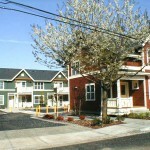 Healthy non-toxic finishes and materials were used throughout and water-efficient fixtures and landscaping were also incorporated.